When Becky saw this polish, she knew I would need it. As a huge fan of Portal and Portal 2, I have snatched up a lot of related merchandise, and what could be more perfect than a polish designed around my BFF in the game, the companion cube? 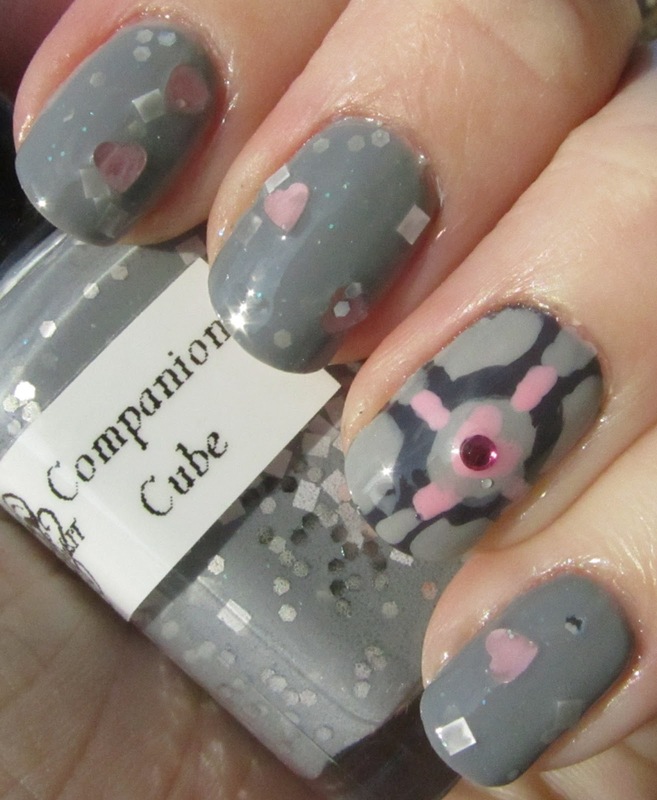 For my companion cube nails, I started off with two coats of Zoya Dove on all but the ring fingers, followed by two coats of NailsIT Companion Cube. 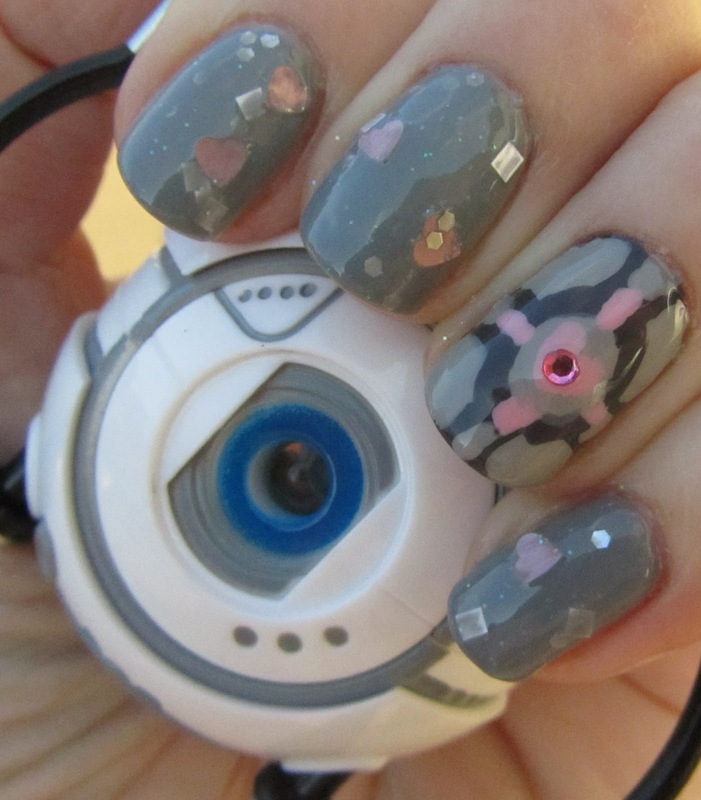 This polish is a medium gray jelly with pink heart, white square, silver hex, and small iridescent glitters. The hearts were surprisingly east to get out, but I found that adding a second coat made them just a bit too grayed-out, so I used a brush dipped in remover to brighten them up again. Love this glitter! On the ring finer, I started with two coats of Zoya Kelly, followed by painting on the light gray details with Zoya Dove and the pink details with Nicole by OPI Up & Kim-ing Pink. I added a pink rhinestone in the center of the heart for good measure Looks very nice with my companion cube plushie. I pretty much love this manicure... almost as much as the game. And the cube itself. I'm not going to lie, I probably ran around for about an hour trying to figure out how to save it... ANYWAY if you haven't played Portal I strongly suggest you do, it is really an amazing game. I'm glad you love it! :) the accent nail art is very cool, takes the pretty polish to another level! Lovely. This mani is a work of art.